The Industry Council for Tangible Assets (ICTA) was created in response to federal legislation, passed in 1981, that removed tangible assets from individual retirement accounts (IRAs). Prior to 1981, investor portfolios could include many tangible assets – artwork, valuable rugs, antiques, and rare coins and precious metals. The federal legislation banning tangibles in investment/retirement accounts sneaked by the rare-coin and precious-metals community, which had no advocacy organization in Washington, D.C. Jim Blanchard and others organized several meetings in New Orleans and Washington to create an industry advocacy organization. ICTA was incorporated as a 501(c)(6) organization in July 1983, and in 1985 ICTA’s staff and board of directors began the work of restoring precious metals and coins as qualified investment products. Bullion products were successfully restored in 1997, and efforts to restore rare coins is ongoing. For the past 33 years, ICTA has been the voice of rare-coin and precious-metals dealers in Washington, and has served and continues to serve on many fronts as an advocate for dealers on the state and local levels. Some of ICTA’s achievements are described in the following. ICTA began voicing its support for the Model Commodity Code in 1984 and offered the Commodity Futures Trading Commission (CFTC) information and testimony through the years as states individually signed on to the code. ICTA testified before the CFTC on precious metals financing in October 1987. Also in 1984, ICTA began lobbying the United States Mint to create an attractive American bullion product that could compete with other nations’ bullion investment products. 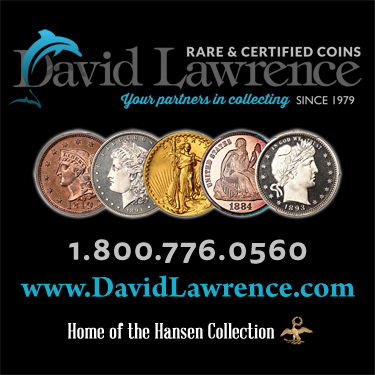 The American Eagle bullion coins were introduced officially in October 1986. The IRS categorizes coins and precious metals dealers as “brokers” for purposes of reporting certain purchases to the U.S. government. ICTA began efforts to define and narrow reporting requirements in 1985 and achieved this victory in December 1992. Prior to this compromise with the IRS, dealers were required to file written reports for every purchase from clients regardless of the item or quantity – even one Mercury dime required reporting, according to the IRS. The reporting compromise was based on the CFTC’s list of commodities. Thus, for the last 25 years dealers have been required to report sales of only a very few bullion products in specific quantities. ICTA was one of several organizations invited to a conference sponsored by the Federal Trade Commission (FTC) in the early 1990s to discuss the Telemarketing Sales Rule, which defined how businesses could use the telephone to elicit sales. On behalf of the rare-coin and precious-metals community, ICTA submitted comments that very narrowly defined prohibited phone sales. As a result of ICTA’s and other organizations’ comments and their participation in various fact-finding activities, the Telemarketing Sales Rule that was promulgated in August 1995 allowed businesses to continue to conduct telephone sales, but with proper and consistent procedures designed to protect consumers. As originally proposed by the FTC, the rule could have shut down many precious-metals and rare-coin businesses that rely on telephone sales. ICTA also submitted comments on behalf of the industry concerning the national Do Not Call list proposal in 2002. ICTA began its efforts to achieve state sales-tax exemptions in the early to mid-1980s as discussions were underway in Congress regarding the power of states to tax across state lines. ICTA submitted to the U.S. Supreme Court an amicus curiae brief in 1985 supporting the Quill decision, which upheld the U.S. Constitution’s “commerce clause” forbidding states from taxing across state lines. In 2014, ICTA launched LexisNexis® StateNet®, which monitors legislative and regulatory issues in all 50 states and Congress. This revolutionized the way ICTA does business, allowing us to be proactive and immediately notify our members in real time of potential legislation. State sales-tax exemptions regularly come up for review by state legislatures and have, in a few cases, been repealed. ICTA assists state organizations in their efforts to protect exemptions and/or to reinstate them should a state’s legislature and governor repeal an existing sales-tax exemption. Other state-level legislation in which ICTA has become actively involved are secondhand-holding laws and dealer-registration laws. As of December 2015, thirty-two states have sales-tax exemptions. Several more states will be introducing sales-tax exemption legislation in the near future. As a result of these successful activities, we rebranded ICTA as Your Industry Watchdog. Educating dealers about cash-reporting and money-laundering laws began in 1986. ICTA created information kits (for sale to members only) and offered seminars at major coin shows. When these laws were included in the USA PATRIOT Act, U.S. Treasury personnel asked to meet with ICTA staff to discuss potential changes. The USA PATRIOT Act was created as a result of the September 11, 2001, terrorist attacks on New York City and Washington, D.C. For coin and precious-metals dealers, failure to properly comply with cash-reporting regulations can result in jail terms and serious fines. ICTA’s Cash Reporting Kit and seminars provided these dealers with specific information not available anywhere else. ICTA also contracted with an acknowledged cash-reporting expert, who assisted ICTA members with developing written Anti-Money Laundering (AML) compliance plans as required by the regulations. Also as a result of 9/11, the Federal Aviation Administration (FAA) instituted onerous baggage searches and carry-on bag limits. ICTA worked with the FAA and Transportation Safety Administration (TSA) to develop reasonable procedures to streamline dealers’ security checks. Unlike the average traveler, dealers carrying valuable merchandise require specific search procedures that protect them and their products, while also allowing the TSA to confirm the safety of dealers’ coin cases and other carry-on items. ICTA worked through the late 1990s with the California Coin and Bullion Merchants Association (CCBMA) to achieve in that state a definition of “nexus,” which means a business presence. California attempted to define coin and precious-metals dealers as California businesses if they merely attended coin shows in the state. In September 2000, the California nexus rule became law. This precedent-setting law allows dealers to attend seven days of California shows without being liable for certain California taxes. Prior to ICTA’s and the CCBMA’s victory, one show day in California established dealers as having a business presence in the state and thus as being liable for sales-tax collection of all sales into California. ICTA later got the seven days show attendance changed to 15 days. Also in concert with the CCBMA, ICTA successfully negotiated, to dealers’ advantage, changes to California’s secondhand-dealer electronic reporting requirements and, in September 2000, achieved a reasonable compromise with the state and with state pawnbrokers’ groups. 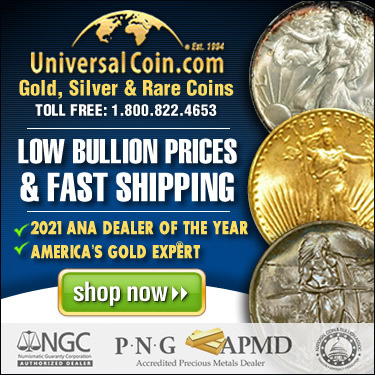 The pawnbrokers had been fighting to include dealers of precious metals and coins under the state’s definition of “secondhand dealers.” Had this compromise not been achieved, California dealers would be required by law to file electronically (by computer only) on purchases of all merchandise. The U.S. Congress frequently discusses taxation of Internet sales in response to the explosion of this medium and its negative impact on “brick and mortar” shopping. ICTA has monitored this issue since January 2000. ICTA congressional legislative consultant Jimmy Hayes played an important part in helping to defeat the Marketplace Fairness Act in 2014. Most of ICTA’s accomplishments require continuous monitoring to ensure that legislative and regulatory successes remain unchallenged as state and federal legislatures and regulatory bodies change over time. Achievements such as state sales-tax exemptions are also threatened by changes in state, national, and world economies, so ICTA is never able to rest on its laurels but must be constantly vigilant on behalf of its dealer constituents.